*See Mike's 5-STAR Reviews on Yelp! 7 years running! Add our BOSE L1 Compact TOWER SYSTEM with Music Manager (DJ) for $175.00! w. Microphone! Beautiful CLEAR Music, fills most rooms, *Limited time Offer! We've seen magicians but they weren't you! You got the adults as well as kids! I am definately Recommending you to Friends!" "GREAT JOB MIKE CHING & DR. GAU!" "...A DREAM TO WORK WITH START TO FINISH!.. & lighter when we forgot them too!)..." (TEXT): "..Thank you again for a WONDERFUL Show last night!... AWESOME Performance... We had a Great time, Thanks for your advice & Services!" "..WOW! YOU GUYS ARE AWESOME ENTERTAINERS!!.." Just wanted to say "THANK YOU VERY MUCH AGAIN! The party with your services were a SUCCESS! EVERYONE ENJOYED THE SHOW and thought you were AWESOME! BEAUTIFUL JOB with everything from beginning to end and I just wanted to email you to let you and Bradley Choy know that. (it was) action oriented and appealed to children and adults. AMAZING how you are able to captivate the age groups!..." "..The Kids had a BLAST!.." "...HO! THAT WAS A GREAT SHOW!..." NEW! 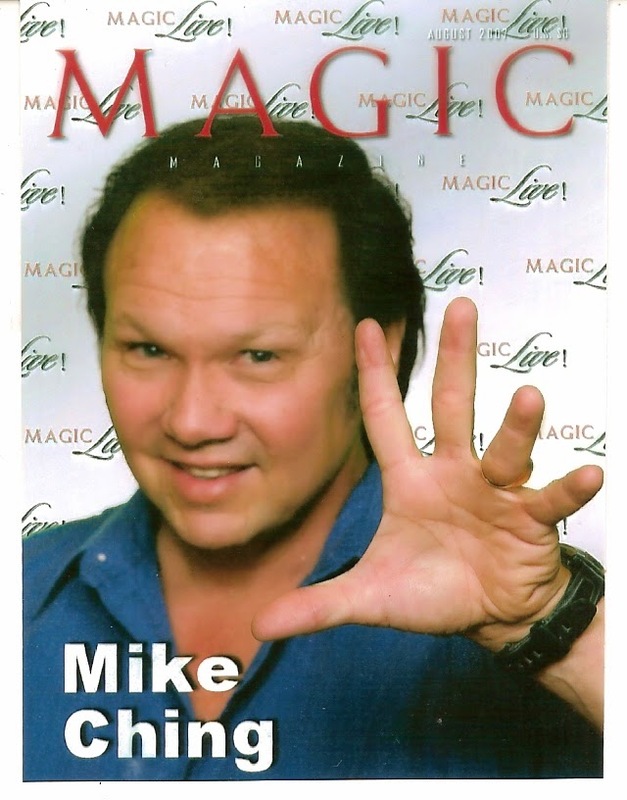 : MIKE CHING MAGIC received the "PEOPLE LOVE US ON YELP!" He knows his craft and he is really really funny! I would highly recommend him!..." you missing out cuz he is da real deal! 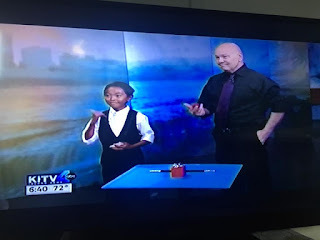 Entertaining and great magic! Success Mike!!.." * "HEADS UP! GRAD SEASON"
I need on your website. Can I get a custom qoute? 2 combination options to help fit your budget. Such GREAT REACTIONS from our guests! -You SET THE PERFECT TONE..! ... Couldn't have asked for better..."
on total services over $1000.? Just ask for the "Over 1000" Discount! On behalf of Brady and the Matsunaga family, thank you so much for making his 2-year old birthday party a huge success! Everyone loved the magic show. We have wonderful pictures of wide-eyed, jaw-dropping pictures of the kids (and adults) who thoroughly were mesmerized by your magic! Apologies for the change in time. As in most events, the best laid out plans makes way for adjustments, and our party was no exception. However, we sincerely appreciate your accommodating us. Also, please thank Brad for his assistance with everything and also helping with the music. With all the planning, we overlooked that and am so grateful for this. Also, tell him no hard feelings about his mistaken identity of me. My sister and I are 12 years apart and lots of people have said that. But know that I’m still young in heart and even willing to jump into a dinosaur costume all for the fun of the party and the kids. Thank you again for working so well with us! "GREAT SHOW!" ... "VERY APPROPRIATE!" "DO YOU ALWAYS DO SCHOOL SHOWS?" "WOW! Your magic show was ON POINT! *(and we were watching from the side!)" Mahalo for our latest 5 Star Revue on YELP! Thank you for kind words from client "Kamaile"
I'm so glad I booked Mike! Wanted to add entertainment to my son's first birthday party so I scoured through yelp reviews looking for something both kids and adults could enjoy. Came across Mike Ching's reviews and booked him based on his yelp rating! He was professional and efficient while talking to him over the phone and through email. Not to mention his website gave me a clearer understanding of what services he offered. On the day of the event he arrived about 45-min before the start of the party and set up his own backdrop which added a more festive look to our stage. He provided strolling magic and I'm going to call it a "variety" show. He had my guests laughing in amazement from the start to finish. He also kept my guests informed of activities and other performances throughout the party with his "LITE MC" service he offered free with the purchase of an entertainment package. The kicker was the "balloon surprise finale". He had all "60-something" children and even adults running around chasing balloons. Thank you Mike. My son's party wouldn't have been such a success without you!
" ..(Truly the hit of the Party.."
...GREAT Show! You really work hard!.." "AWESOME! The kids had a Blast!" "..THAT was a GREAT SHOW!.." Thank you for all your Advice too!" AND ADULTS ALIKE were HAVING FUN AND LAUGHING! HIM TO ANYONE LOOKING FOR A MEMORABLE PARTY! Magician in HAWAII on "GOOGLE"
6. Mike was an opening act for "CHARO!" THANK YOU for MAKING OUR CROWD HAPPY. "...Finally I found you! THAT WAS SO FUN!..." "...THANK YOU, ...Such a GREAT SHOW!..." ...Wow Brah! That was an AWESOME SHOW!.." "...That was the "AWESOMEST" MAGIC SHOW!..." when that big Card Box came out!.." recommend you to everyone throwing a party!.." "...THAT was a GREAT SHOW!..." ...AWESOME SHOW!..HOW DID YOU DO THAT?!?..." "...YOUR BETTER OPTION WOULD BE MIKE CHING MAGIC! PROFESSIONAL AND HILARIOUS! ALSO CHILD-FRIENDLY.Visit mikechingmagic.com to book him or just to get a look at his services available..."
RANDI S. from Seattle posted April 2015. “..Many thanks to magic Sensei Mike! .. Very generous sharing! great humor and impromptu comments…"
"GREAT SHOW! You are a GREAT Magician!" Hey Mike! GREAT JOB TONIGHT! EVERYONE LOVED YOU! ..I truly appreciated the pirate spin!!!! .... I wanted you to know your art was greatly appreciated! 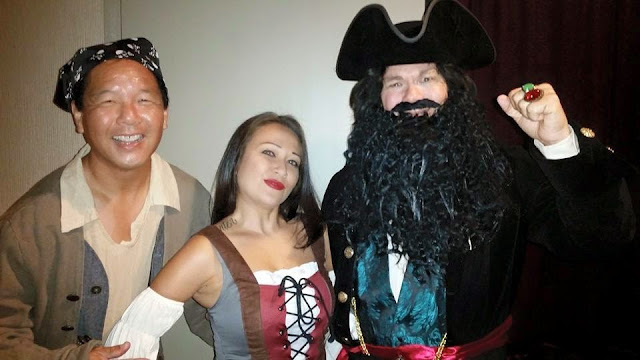 "Miss Nani" & Mike Ching as "Capt. Billy Lightfingers"
" ..AWESOME SHOW!.. GREAT FEEDBACK!.." "..I liked the TIMING on your show, REALLY FUNNY!.." "..THEY LOVED IT!.. AWESOME SHOW!.." " GREAT SHOW!...I appreciate how supportive you were for us during the party! ..."
Mike: "THANK YOU!!!!" for the AWESOME SHOW! ...Received lots of GREAT COMMENTS from both kids and adults!... Just a note to say MAHALO! -Nicole Y. "..Your suit is so detailed, you make me believe all over again!.." Dear Mike; WONDERFUL SHOW last Saturday!.. We were so happy with your act for our daughters party 5 years ago, having you again was a no-brainer. So glad we got the “CHING & CHOY” comedy show with Bradley,...SO HILARIOUS! … Nothing but great feedback, "Funniest Magic Show ever!" ... you guys are SO ORIGINAL! Mahalo again, You will always have our recommendations! "Michael is very talented, charming and an amazingly great entertainer. He will make you laugh and your family will love him!" -Noreen W.
your taking time to do "Lite MC" announcements for us since we had no MC. It made all the difference with your experience guiding the party! Dr. H. P. Lovecraft and the world of Bay area Entertainers. A big Mahalo to you for making Isabella's party so memorable! Your awesome team had everyone entertained from beginning to the end (still talking about it the next day!). "...I LOVED IT! ...Never seen my relatives LAUGH SO MUCH!.. ...This BLEW MY MIND! .. I DIDN'T EXPECT all this!.. ...VERY FUNNY too!..." - HYATT Banquet Mgt. "...A Great Class, Really enjoyed it! (I was hoping to have more Class time, maybe 3 classes per week..."
"...Wish the Classes were longer!.." "...A Very Fun course.. - Highly Reccomended!..." "...How did the Drawing Talk?!?.. The DOG is Funny!.. ..."Wow!...Can you come back and Teach us Magic?!..." "...VERY GOOD SHOW! -CAN I HAVE A CARD FOR REFERRAL?.." -Facilities(?) Mgr. "..I HEAR YOU'RE RATED # 1!..." ...PREPARE TO GET YOUR MINDS BLOWN!.. "...YOU WERE GREAT AT OUR PARTY 4 years ago,..
... OUR WHOLE FAMILY LOVED THE SHOW!.. MIKE- THANK YOU SO MUCH for a GREAT SHOW SATURDAY! ".. SO GLAD WE FOUND YOU ONLINE!...FANTASTIC!.. "..WE LOVED YOUR SHOW! ..TERRIFIC!.. "...Just wanted to say, WE LOVE YOUR SHOW!..." "...I HIGHLY RECOMMENDED you to a girlfriend..."
CANDLES in your case SAVED THE DAY (and our Birthday Cake! "..That was PERFECT!.." Appreciative Mgt. "..GREAT!.. AWESOME!.. FANTASTIC SHOW, -AGAIN!.. SO happy we added the Sound System!.. "..We GOT A LOT OF GREAT COMMENTS!.. ..You REALLY MADE ME LAUGH!.." I never saw anyone do that HUMAN PUPPET thing!.." ".. If you are looking for something new and different, I suggest Mike Ching's magic and comedy show. He is well respected, very professional and passionate about what he does and that shows. 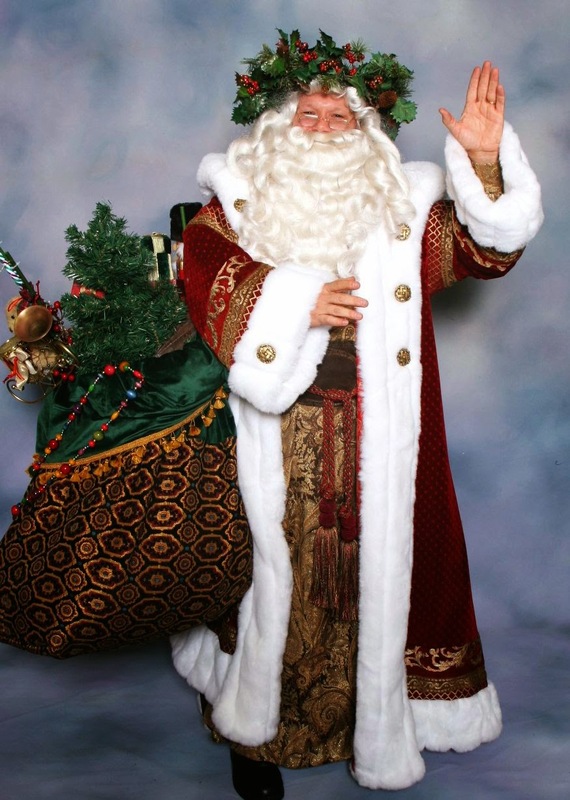 He is really talented and not only is his Magic Show just awesome ( his assistant was in Austin Powers and Lost) but he also does the most amazing Santa Claus you have ever seen..."
"..AWESOME SHOW, REALLY AWESOME SHOW!..WE'LL REFER YOU!.." ..Could I get some cards? ...OUR GUESTS ARE ASKING HOW WE FOUND YOU!.." "..EXCELLENT SHOW, VERY AWESOME!..I'll RECCOMMEND YOUR SHOW!.." ".. That was a REALLY ENJOYABLE Show!.." "...Just wanted to say,WE REALLY ENJOYED your Show!.." "...WOW! HOW CAN I REACH YOU?! "...SO SURPRISED.. SHOW REALLY HAS A "WOW!" FACTOR!..." "..(Our Client was) MORE than Satisfied! ...Hilarious!.." for an AWESOME Magic Show!.." "..THAT was an AWESOME Show!.." "..That was AWESOME -AWESOME -AWESOME!!.." "..THE SHOW WAS A HIT! .. My husband LOVED it, -LOVED IT! I think you made a lot of NEW fans last night! ...BRAVO, MAGIC MIKE!.." LAUGH SO MUCH FOR A MAGIC SHOW!.." Especially the BALLOON TOSS at the end..
the “RAINBOW GAME” Closing… A GREAT ENDING TO THE PARTY! “..That was GREAT!... AWESOME Show!.. ONE TERRIFIC SHOW…. EXCELLENT, EXCELLENT JOB!.. about the SHOW, TATTOO BOOTH… & food. “ … AWESOME SHOW! … I GOT SO MANY POSITIVE COMMENTS! I rarely write reviews on Yelp, but just had to because Mike just recently did my son's first birthday party. He was Awesome! Very professional, showed up an hour early to set up and talk story with us to say hi and figure out our plans and ideas for the party. Very accommodating, did balloons for the kids a little longer to make sure that every kid that wanted them got them. We had him do the Classic show and the kids had the biggest smiles and looks of awe on their faces. He did a great job of getting the adults and crowd participating as well to keep things funny. Feedback from people that came to the party was terrific. Saw his show before, but he keeps adding new routines to keep things interesting and fun. So, if you want someone professional, funny, good for kids and adults, and keeps things fresh, Mike is your man. something else to see your guests Laughing & Clapping "Live"! ...That's REALLY Good!..You're a GREAT Sleight of Hand Artist!... Wow!! ...AWESOME! -SO MUCH MORE THAN WE EXPECTED!.. "..I LOVED the MAGIC SHOW!.." "..NEVER SEEN anyone do TRICKS LIKE THIS!.." They LOVED YOUR SHOW and WANT YOU AGAIN!..." "..PERFECT!.. Your STROLLING MAGIC was a BIG HIT TOO!.." "...YOUR SHOW IS A SLAM-DUNK!..." "..HOW MUCH DO YOU CHARGE FOR A SHOW LIKE THIS?..REALLY GOOD!" "..FIRST TIME I'VE SEEN MAGIC SO ENTERTAINING!.." "..THEY LOVED IT! -VERY GOOD FEEDBACK FROM MY GUESTS!.." "..SO GOOD! -YOU SHOULD BE IN LAS VEGAS!.." "...I JUST HAVE TO SAY, you're MONEY TRICK is REAL MAGIC!" ".. WHAT CAN I SAY, YOU'RE AWESOME!.." "Mike was awesome! He was hilarious and the kids couldn't get enough of his tricks and balloons! Adults loved him too! I am so happy I hired him for my son's 1st birthday party! You will not be disappointed!" I found Mike Ching online when I was scrambling for a magician to add to the entertainment line up for my daughter's first birthday. I contacted him a few days before the birthday party, hoping he would be able to put something together. He did an absolutely AMAZING job!!! It was last minute notice for him but he was still able to put on a fabulous show! Everyone loved his walking magic (he went around to various guests and did one on one magic tricks) AND he did a full show in addition to that! He was so nice, and very personable, and entertaining! The show was a hit, everyone enjoyed it, kids and adults!! I was so thrilled to have him at the party, and can't wait to have him at the next party! 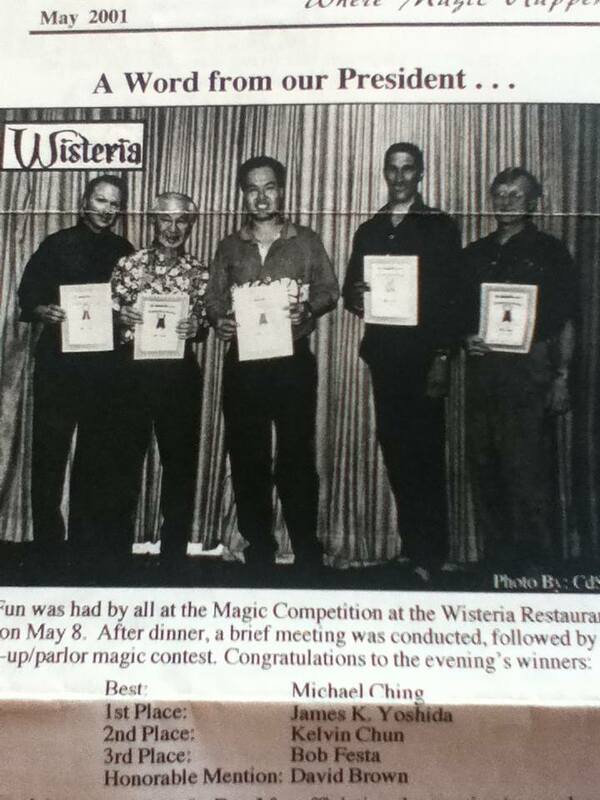 "..FANTASTIC Show!..NO OTHER MAGICIANS but Mike Ching for me!..." ".. MORE ENTERTAINING than any Magic Show I've seen!" Our guests are STILL RAVING ABOUT IT! SO REWARDING to see EVERYONE SO HAPPY! -NO REGRETS in hiring YOU! MAHALO for entertaining our Ohana Saturday night. GUESTS RAVED about how good you were. THANK YOU for helping make this event a SUCCESS! "GOOD, GOOD, REALLY GOOD Show!" "You're a REALLY good Magician!" "THAT WAS GREAT! Can we have some cards? Our guests have been asking for them!" My Daughter has HER 1st Birthday coming up. "WOW! 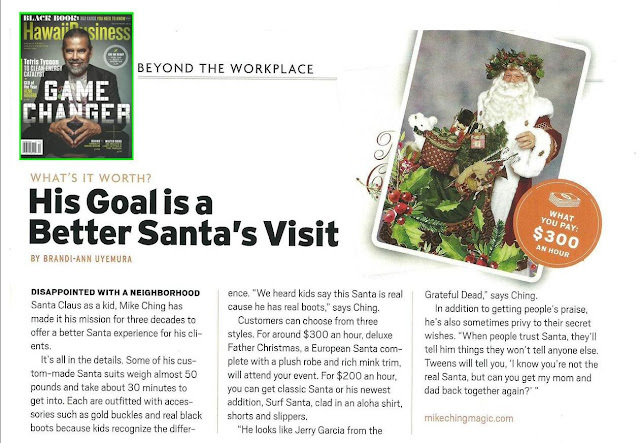 [YOUR] SANTA IS LIKE A ROCKSTAR!. stays in character THE WHOLE TIME!. Please come back NEXT Year!" Our son can't stop talking about it!" I was in the back just laughing and laughing!" "That's not a mistake. The additional $100 is a tip. "That was GREAT! GREAT! GREAT! GREAT!" GOT EVERYONE INVOLVED. EVERYONE ENJOYED YOU!" "WONDERFUL SHOW at my Son's Party! how you interacted with the kids & audience. REALLY HAPPY WITH YOUR SERVICES!" "REALLY good & REALLY funny!" and your show is the BEST BY FAR!" -"WE ENJOYED YOUR SHOW TREMENDOUSLY!" and your insights and leadership during the party." -"I THINK I'M HOARSE from LAUGHING SO MUCH!" "Our Guests are commenting that you are VERY good!" "FUNNIEST MAGIC SHOW I'VE EVER SEEN!" "Teller" - of "Penn & Teller"
"I read it all the time"
"SERIOUSLY CLEVER ideas, -WORTH EVERY PENNY"
Sean Begonia - Creator of the "Ultimate Dancing Hank"
"GREAT Book! ... GREAT Book!" 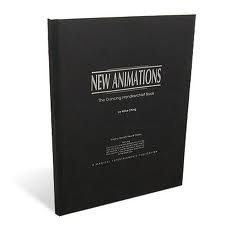 by Michael Ching from Hawaii"
'New Animations' by Mike Ching"
"I will vouch that Mike Ching's book is FIRST RATE"
I've just received Mike's book from MJM Magic. "You're not only a great Magician, you're a GREAT COMEDIAN!" "YOU were GREAT! ... AWESOME!" 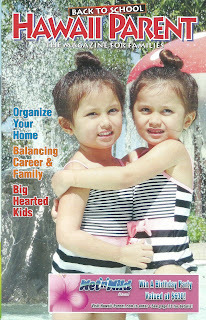 "Rylie Sugimoto turned 2 recently. at the Ala Moana hotel." 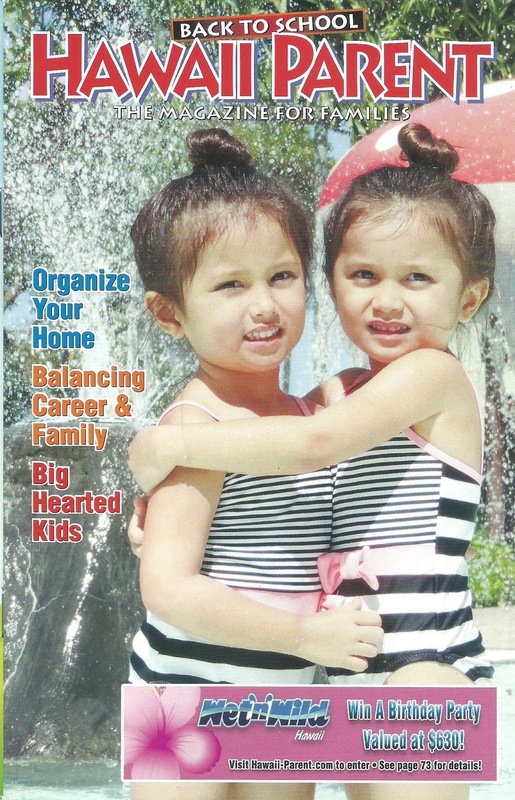 "Island Life" Column in "The Honolulu Star-Advertiser"
"The kids just LOVED the Magic, their SMILES WERE HUGE! What a gift you all gave this little girl and her family.
" Thank you and Brad Choy for the AWESOME show! Everyone loved it and thought it was FUNNY! Thank you for making our son's 1st birthday party the BEST! "I saw you at my friends party and I told my sister she HAD to get you! 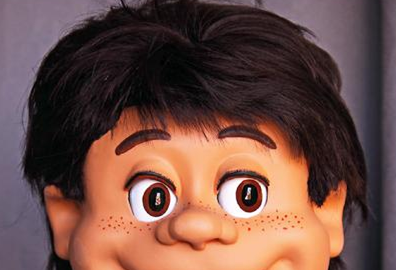 That guy (Brad Choy) is really funny too!" "Good Show! You have good humor too!" "THANK YOU SO VERY MUCH for doing our party this past Saturday. Everyone LOVED YOUR ACT and was AMAZED WITH THE ILLUSIONS! Also thank you for your patience and calmness a the party (as MC)." "THE ADULTS ENJOYED IT TOO!" DO YOU HAVE A BUSINESS CARD?" "ENJOYED YOUR SHOW!" ... " VERY GOOD SHOW!" "PLEASE GET ME YOUR CARD." "YOUR STROLLING MAGIC WAS A BIG HIT!" "PLEASE GET ME YOUR BUSINESS CARD!" "YOU'RE GOOD! ... YOU'RE REALLY GOOD!" before OUR Baby's 1st Birthday!" "Awesome! I already have 3 people asking about having you!" "GOOD SHOW, REALLY GOOD SHOW!" "GIVE ME A STACK OF YOUR BUSINESS CARDS!" "This is the FUNNEST Party in the World!" "That was a WONDERFUL SHOW!" "WOW! ... You're a BAD*SS! MAGICIAN I have EVER seen!" "Just wanted to write & THANK YOU SOOO MUCH! I am receiving compliments about your show 'til this day!" I can't even keep track of how many parents inquired about your show! (I happily RAVED ABOUT YOU!)." I've seen so many Magicians and THIS IS THE BEST SHOW I'VE EVER SEEN! ... Continued Success!" "GREAT JOB! ... EVERYONE LOVED YOU!" I was LAUGHING SO MUCH!" "TERRIFIC SHOW! So much response from her classmates! "Thank You! ... EXCELLENT! ... Everyone LOVED IT!" "Wow! ... It turned into one Big Party!" "Popular! My relatives had Mike at their Birthday Party recently. We also had him booked for our Baptismal Party (many of the same guests). to create a different show for each event. BOTH Parties were Great Fun!" WE'LL RECOMMEND YOU TO ANYBODY!" "Awesome Show! Worth Every Penny! "These guys are really funny!" "PERFECT FOR OUR DAUGHTER'S GRAD PARTY!" "Our whole family enjoyed it, classmates & adults. We didn't expect this much ... Even guests came up and complimented us. We've never seen a grad party with so much laughter ... Wow!" Thank you for performing at our party last night! If we have another baby, we'll be sure to call you!" "WHOA! COOL! ... WHOA! COOL! ... WHOA! COOL!" "Thank You, Michael ... You SAVED THE DAY for us! when we forgot them for the cake! Plus, the "CHING & CHOY" Show was GREAT. You really know your business! Great job!" but the show you did at the Christmas Party was Fannnn-Tastic!" "You were AWESOME! I'm going to call you for MY baby's party!" Great idea and the costume is AMAZING!!!" "Your FATHER CHRISTMAS is exceptional! Should be in a HARRY POTTER movie." It was a pleasure to have an act like yours. If you are available, we look forward seeing your performance NEXT year! Here are some more comments from our audience:"WORTH EVERY PENNY!" and was impressed with your stage show. especially during the $100 bill trick. [with] excitement, laughter, and applause. "The feedback about your performance was 100% positive. You guys were a huge hit and I'd definitely like to see you back next year!" "You were Wonderful! They Loved You!" than we could have ever imagined! Everyone had so much fun! The whole day was a success and you were a huge part of that. You are a real class act ... your performance, as well as you, personally." I'm going to recommend you to everyone I know. People were already asking us how we found you." even my parents got into it ." "The face painting artist was really awesome, as well. She was so nice, and did such a fabulous job. I'm so glad we added it to the show!" "And thank you SO much for helping us with the announcements. My husband and I really didn't know what to say or when to say it. You really helped the party move along smoothly. I thought that was so special! I don't know if I would have thought of that. I'm so glad you did it! Thank you and God bless you!" "Thank you so much for the "Secret Party Tips"! I'm kind of clueless when it comes to party planning. This is going to help me tremendously!!! you do really good Magic AND you're really funny!" "That was a GREAT show! That was a REALLY Great Show! Thank You!" D: "That was an excellent show!" Tino: "Yeah, it really was!" at our daughter's first birthday! The strolling magic was awesome and mind-boggling. We received so many compliments about the stage show. and how can they book you for their event. We're so happy we had the "CHING & CHOY" show for our party!" Jack Schweigert, Producer: "Cavalcade of Stars"
how much we enjoyed your show today at Evans party! I didn't get to thank you for the fun we had. My husband and I were sitting at the table of the guy who tore the twenty. All the couples on our table really enjoyed your show. Great performance!" "We just had to get you. 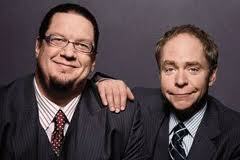 Not many magic comedians really make me laugh but I was just howling when I saw you at Todd's party." "Mike, TERRIFIC show for Brian's Yakudoshi! "Wow, your FACEPAINTING Guy works so quickly. The Kids loved him!" "We get Magicians here TWICE A WEEK ... You're the best I've seen!" "The Show was SO great! We're glad we found you!" "You ARE as good as (your website) says you are!" "Just wanted to tell you THAT was a VERY good Show!" "Aloha, Mike ... MAGNIFICENT Show at our son's 1st Birthday party! Everyone enjoyed it and can't stop talking about it. and continued to talk about your show. It seemed like the party never really ended. Again, Mahalo for a FABULOUS show!!!" that we wanted to hire you again for our daughter's 1st Birthday!" then I realized it was from laughing so hard at the show last night!" "Delightful! Such BIG crowds! Lots of positive response! "Aloha Mike. Thank you so very much. Great show on Sunday! One of the best performances that we have seen. Beyond our expectations and our guests were amazed. We will refer you as top drawer entertainment! "Thank you, Mike. Great show! I appreciate this more than you know." "I've been to a lot of parties and seen a lot of (magic) shows. This was far and away the best I've seen! My guests are asking how to contact you." Good responses from people surprised and impressed with your show. Calls still coming in specifically complimenting my Magician. Thank you for being so understanding and flexible. The party was a great success!" "Thank you so much for the Magnificent Magic Show! I am so glad you were available for Duke's 1st Birthday. that your Show is the Best! Mahalo!" "You performed for my daughter Gezelle's 1st birthday last night (Nov. 13) and I just had to tell you thank you, thank you, thank you, right away! You put on a spectacular show! Everyone at my party loved it. Everyone complimented me for finding the best magician they've ever seen and kept telling me how funny the show was. So thank you for making my daughter's night a very memorable one." well-received by over 500 keiki and their families. Thanks for helping us instill a "sense of adventure"
within each and every child present. WINDWARD MALL "MIKE CHING IS TRULY MAGICAL! MIKE CAPTURES AUDIENCES OF ALL AGES. AND HE HAS A WONDERFUL FLAIR FOR COMEDY THROUGHOUT HIS SHOW! BIG ILLUSIONS & KEIKI FUN, TOO ... WOW!" "They LOVED how your Santa stayed in character, even with the adults!" great comments from all the people who were there as they left! and, more importantly, for even wishing to have it for the benefit of HCCF! We cannot thank you enough and we are very blessed. You are a wonderful producer, and it all went wonderfully well!" 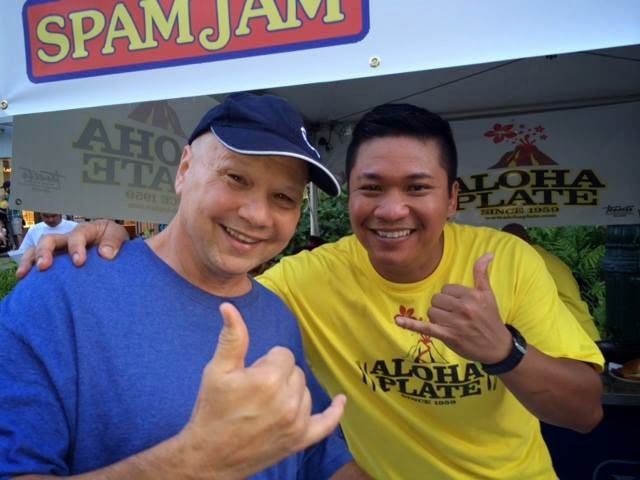 "We got THE BIGGEST CROWD I HAVE EVER SEEN AT KAHALA MALL! "Look at the size of that crowd!" "On behalf of Kahala Mall, thank you for a superb performance! and definitely drew a large crowd! Many customers complimented us on what a great job you did. We will definitely keep you in mind for future performances!" Evaluation results received were fantastic! "You received the highest percentage of Excellent/Good ratings"
"Your presentation was a huge hit with the employees! proved to be a wonderful idea! 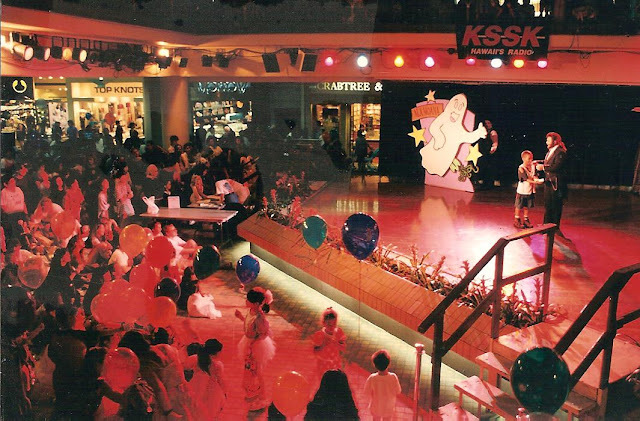 "Outstanding performance at Kahala Mall!" The largest crowd we've had for Santa's arrival. Good comments from happy parents. Look forward to working with you in the future." The March of Dimes 1993 Beretania "Haunted House"
"Over 10,000 Entertained and Mesmerized"
set our project apart from all others. Thank you again for your time, energy, creative talent, and support! The most unique and magical "House" event ever in Hawaii!" "I could always tell where Mike was by the delighted laughter of disbelief!" that people standing inches away were mystified! I look forward to hiring him again just so I can figure out how he does it!" looking to mystify, entertain and satisfy an audience! with Michael's contribution to a wonderful weekend! and designed his performance accordingly. He began by strolling through the party with some great close-up magic. emanating from his area of the party. and had them rolling in the aisles! Feedback I've received include a lot of 'That was perfect!'" "You were part of the magic of making it all possible. I received many cards & letters of thanks. I know you gave them a day they will remember fondly. to the FIRST LADIES VOLUNTEER AWARDS as a VOLUNTEER. MAHALO FOR GIVING THE MOST PRECIOUS OF RESOURCES ... YOUR TIME." "Parents & children raved about your magic & humor. They asked to have you perform again next year!" "Having our principal in your show made the magic very special. and the importance of reading to our children. We had many children request books on magic from the library. ... a wonderful experience with magic!" "Awesome Show! The Best I've Seen!" "We laughed ALL THE WAY THROUGH your show!" 'WHERE DID YOU FIND THIS GUY (and can we get his card?)'" "Wow! Great Show! The adults enjoyed it as much as the kids!" "Wow! 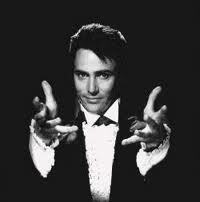 Finally a Magician who LOOKS like a magician! (AND he's funny!)" "The Party was a Success! or whoever has need of your services. Thanks again from the bottom of our hearts!"